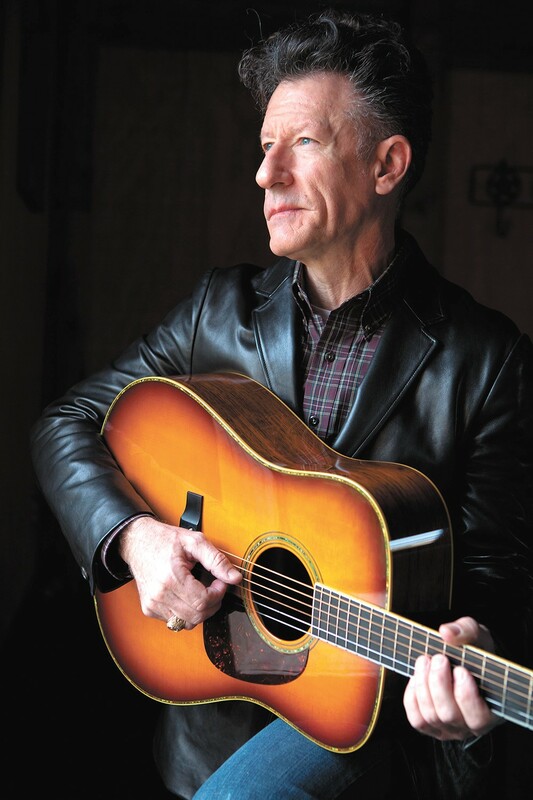 Country star Lyle Lovett performs at the Fox on Friday night. Lyle Lovett says he aims to be the worst musician in his band, though that might not be such a challenge when you've got 13 virtuoso players backing you up. It's all about collaboration for the Texas singer-songwriter, and he's determined to give each member of his so-called Large Band an individual moment to shine. Lovett averages about 100 live shows each year, mostly playing solo or with much less in the way of musical accompaniment, but the Large Band is coming along with him to his upcoming Spokane performance. Lovett spoke to the Inlander earlier this week, and it becomes clear the second our conversation begins that his folksy, self-deprecating stage presence is hardly a put-on. What was supposed to be a quick 10-minute phone call turned into a thoughtful 25-minute chat; here are some of the topics Lovett discussed in our recent interview. He started playing regularly when he was still a teenager. "I got my first gig playing for money when I was 18, in the summer of 1976," Lovett tells the Inlander. "From that summer, I started playing somewhere every week." When the in-house musician at a Houston restaurant called the Mariner wanted to take some time off, Lovett and a high school buddy took his place. They would frequently perform the work of other iconic Texans, like Guy Clark, Townes Van Zandt and Willie Nelson, and many of those songs would later appear on his 1998 covers album Step Inside This House. But Lovett says he quickly realized that if he wanted to make it as a musician, he'd need to write his own material. His eponymous debut LP was eventually released in 1986. "If I wanted to have anything to offer to the public, to give people a reason to come see me, I needed to write my own songs," Lovett says. "I wasn't a good enough singer or guitar player to be a cover artist. I felt like what I had to offer was a point of view that people couldn't get anywhere else." He has a degree in journalism from Texas A&M. "When I was in college, I changed majors a couple different times. I liked everything," Lovett says. "I didn't know what I wanted to study. I thought, I need to major in something that I can do, not just think about what I ideally want to do." Lovett later got a position on the university's daily paper, where he covered the city council of the neighboring town, Bryan, Texas. "There was plenty to do," he says. "You could work as much as you wanted. And I met people that lived at the paper. ... But we'd all draw straws for the entertainment stories, so I tried to write about as many of my favorite artists coming to town as possible." Lovett had never acted on film when he was first approached by the late director Robert Altman (M*A*S*H, Nashville), who had seen Lovett perform in concert in 1990 and had a role he thought would be perfect for the musician. "He called me up and said, 'Hi, this is Bob Altman. Wanna be in a movie?' Just like that," Lovett recalls. "I told him I hadn't done much acting, just a little bit in college. I said, 'What should I do to prepare? Should I take some acting lessons?' And he said to me, 'Heavens, no. That'll just mess you up.'" Lovett would go on to appear in four of Altman's films, most notably as a detective in the razor-sharp Hollywood satire The Player and as a baker with a vendetta in the quirky, sprawling character study Short Cuts. He also composed the music for Altman's Dr. T and the Women, had a supporting role in the cult film Fear and Loathing in Las Vegas and has appeared on TV shows including Mad About You and Castle. And all of those roles, Lovett says, were thanks to Altman. "He's one of the greatest teachers I've ever been around," Lovett says. "He was so reassuring and uplifting. He gave you confidence. I could talk forever about Altman." Lovett's band consists of 14 members, including himself. When they called it the Large Band, they weren't kidding. In fact, Lovett has to actually count the members out loud to be sure everybody is accounted for. He's been working and touring with some of the members for decades, including cellist John Hagen, pianist Matt Rollings and guitarist Ray Herndon.